I just love Hybrid Saturday. It's something so different than the norm. 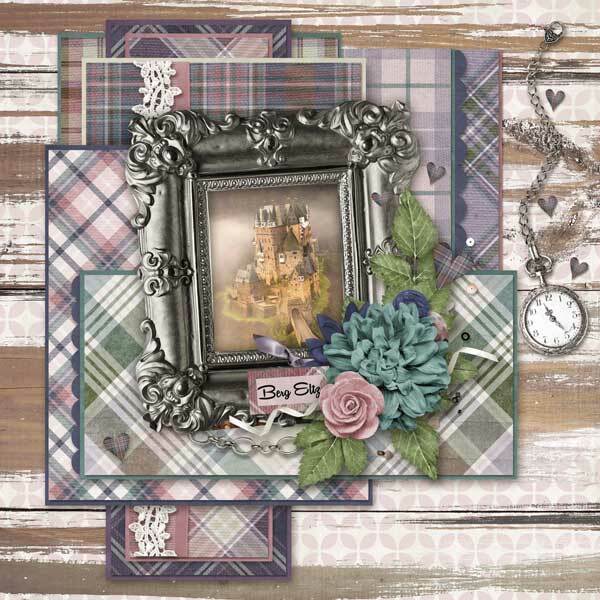 Combining digital and traditional scrap is something that appeals a lot to me. 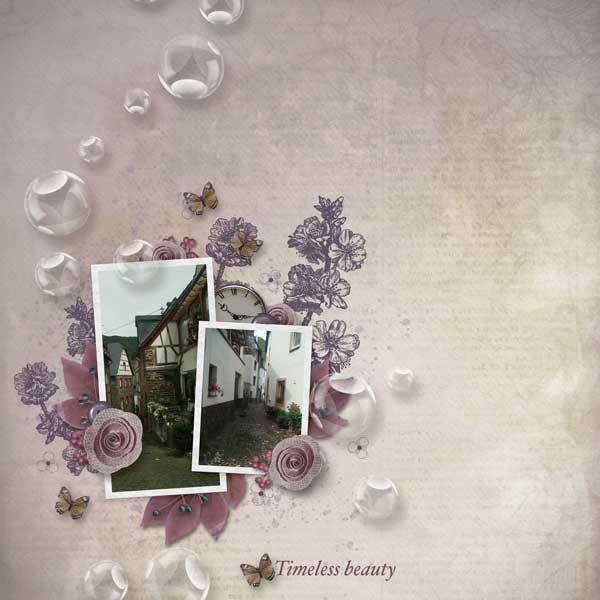 To me, it's just smart combining the digital aspects of scrapbooking with the traditional ones. Different projects call for different kinds of methods, right and with all of these fantastic different kinds of cutting machines like Cricut, downloading digital files, printing them and cutting them, leaves you with a lot of options and the ability to use that awesome flower over and over again. Stay tuned for our downloadable, cuttable designs for pages and cards and check out the ones we've got in our shop, Kreative Design Studio. Here's an example of one. Our Florida Page Starter Kit. You can find a free coordinating goodie that go with it, here. Get good at all three styles! Digital, traditional and hybrid by following along at The Cherry. We'll show ya how and share a lot of free stuff so you can try it, too. 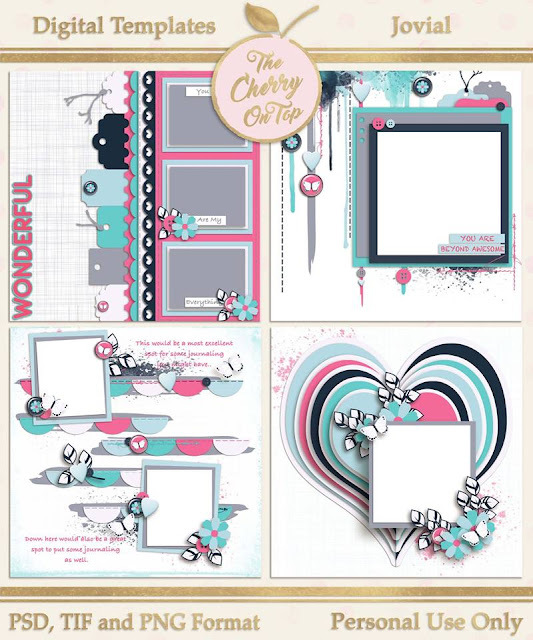 These were the pages I've done coordinating with the Digital Scrapbooking Studio's Store collaboration. This one is from Butterfly Dsign. Her goodies were beyond fabulous! Hop over to the Studio and check them out. The prices are CHERRY! This is from Kim Cameron's portion and my Circlicious templates. If you are all about awesome deals, like we are then you have to jump over to Create For Less and check out there goodies. They are having Craftoberfest, a hand made Halloween costume contest and a Halloween Spooktacular there. I chose these goodies from the sales event. They wold make excellent additions to your scrapbooking and paper craft stash. This two tray organiser is just over $15. The other organiser is just over $7. That's peanuts! They've got this Sissix Starter pack for just over $45 and I love the pearlised card stock and finger guards. I don't know about you, but I always burn my fingers with the glue gun. Hehehe...True story! We blogged yesterday and included some links to free stuff you may have missed and you can read about a game with a prize we're playing in our group on Facebook. I'll be back next week with a really great tutorial you won't want to miss. We're mixing a digital background with traditional elements. How cool is that?! Thanks so much for checking out The Cherry and happy scrapping!